They’re baaaaaaaack. I’ve already shown you the demolitions expert and harvester from the Exploration Age Campaign Guide. Now it’s time to show off a two more backgrounds I designed for my players to use at my table that will also be in the book – the farmer and the tinkerer. Bonus points if you can ID the mini of which this reminds me. You have worked the land and hand-raised livestock from birth to feed the mouths of many. As a farmer, you woke up before the sun and came in from working the fields after it set. You have left behind a mundane life to seek adventure for thrill or fame or fortune. Work with your DM to determine the types of livestock and crops you had on your farm. 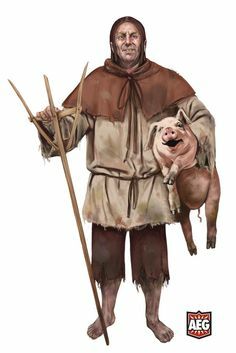 It might have been pigs and corn, or perhaps you raised deep rothe and mushrooms in The Underdark. Equipment: A relative’s recipe for homemade stew, an iron pot, 50 feet of hempen rope, 2 gp worth of trade goods (your choice), a set of common clothes, and a belt pouch with 10 gp. You have crafted mechanical marvels and improved existing technologies. You know that nothing in this world is perfect and everything could be improved. You’re often the one finding ways to improve them. You might have a workshop filled with categorically organized projects and plans, or just a crate filled with random, half-complete inventions you’ll get to someday. Whatever the case, you know the best way to make a mark is to leave a lot of physical things behind which others appreciate. Equipment: A set of artisan’s tools (one of your choice), a bottle of black ink, a quill, a puzzle-box containing the plans to your next creation, parchment, a set of common clothes, and a belt pouch containing 10 gp. What skill would you use for farming? Athletics? Nature? Medicine? Looking at the Farmer’s proficiencies, I got to thinking about that. You could make “plows” or “farm implements” a tool type, but they really wouldn’t have any practical purpose in the game, and would just be fluff. Maybe Herbalist tools? Just throwing ideas out. And I’d really like to see the tinkerer matched with something other than a gnome… how would an elvish tinkerer differ in approach from a dragonborn one? I know where my spare thoughts will be going today. 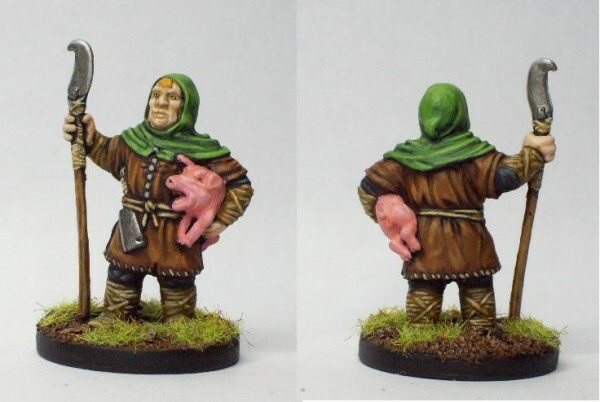 Love that pig farmer mini! I feel like probably nature, though farming is one of those things that is also about the amount of work one has to do. So it may not require a check as much as it requires a bunch of time? I agree! 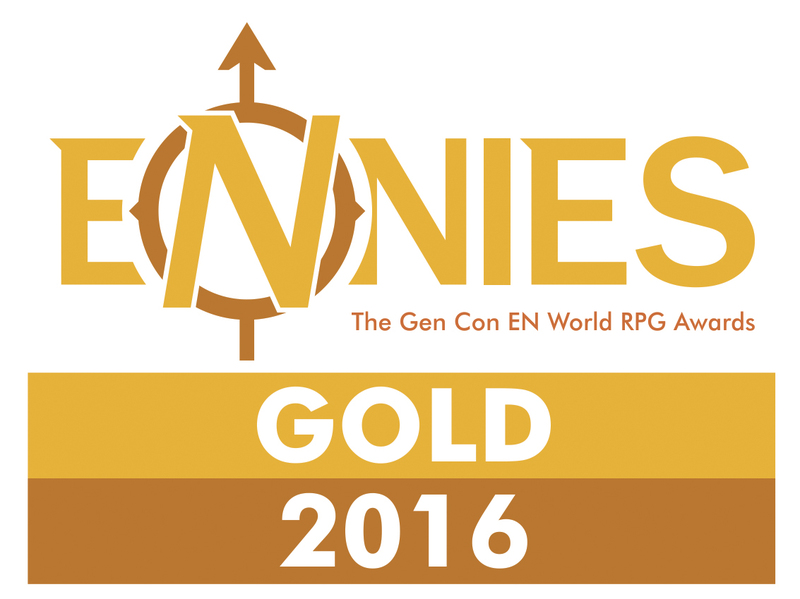 Gnome tinkerers are cool, but other people are allowed to play too! Wonderful! A few more to add to my collection! Thanks, Jon! You should share your collection somewhere! My collection is a Google Drive folder where I copy and paste stuff I like from other blogs and such. I just wanted to let you know that my son chose the tinkerer background for his alchemist that he just created tonight. I am so honored. That is seriously amazing! Let me know if you come across anything wonky! Thanks, Jon! My son must really like the tinkerer. 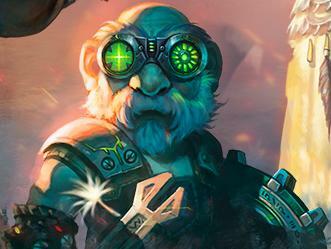 We recently started a new group and his sorcerer character is using the tinkerer background! Your son is my hero!!! Thanks! However, with all the writing and podcasting, do you ever sleep? Well I don’t have time for much else other than work, so I have to look at the blog and podcast as passion projects that are fun to do in my free time!